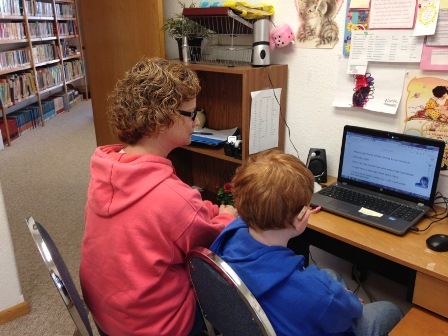 Schools in the United States offer programs and services for children with special needs. 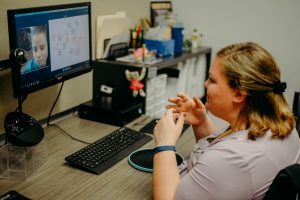 While these programs can and do provide a great service to families, not all schools have staff trained in teaching children who are deaf or hard of hearing to learn to listen and speak—without using sign language. Many schools across the country have chosen to partner with iHear to provide ongoing, individual listening and spoken language therapy to students who have hearing loss. Through regular, online sessions with the iHear therapist and a school professional or their parent, the student can access the skills necessary to achieve their IEP (Individualized Education Program) goals. The iHear program is outcome-based, testing all children every six months and documenting progress to meet individual goals. In Indiana, SJI offers face-to-face direct therapy to address listening skills and their affect on language development and academics based on their IEP goals. Teacher of Record services are also available for school districts and private school placements.